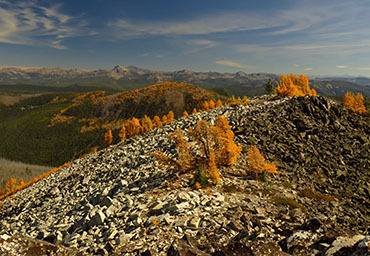 Action needed: Daines’ bill would remove wilderness study protection from 449,500 acres! With no consultation or other public input, Montana’s Senator Daines has introduced a bill to remove protections from five Wilderness Study Areas in Montana totaling 449,500 acres. The threatened areas are: West Pioneer (151,000 acres), Blue Joint (32,500 acres), Sapphire (94,000), Middle Fork Judith (81,000), and Big Snowies (91,000). In the face of some angry senatorial blow-back, the Forest Service has restored full trail maintenance funding in Region 1. For now . . . The U.S. Forest Service has dropped its proposal to reduce funding for trail maintenance in Montana. The agency originally planned to reduce appropriations for Region One, which includes Montana, by 30 percent over the next three years. This included a potential loss of $1 million to Montana’s federal trail budget this year. U.S. Sens. Steve Daines and Jon Tester criticized Forest Service Chief Tom Tidwell last week for failing to prioritize trail maintenance in Montana. 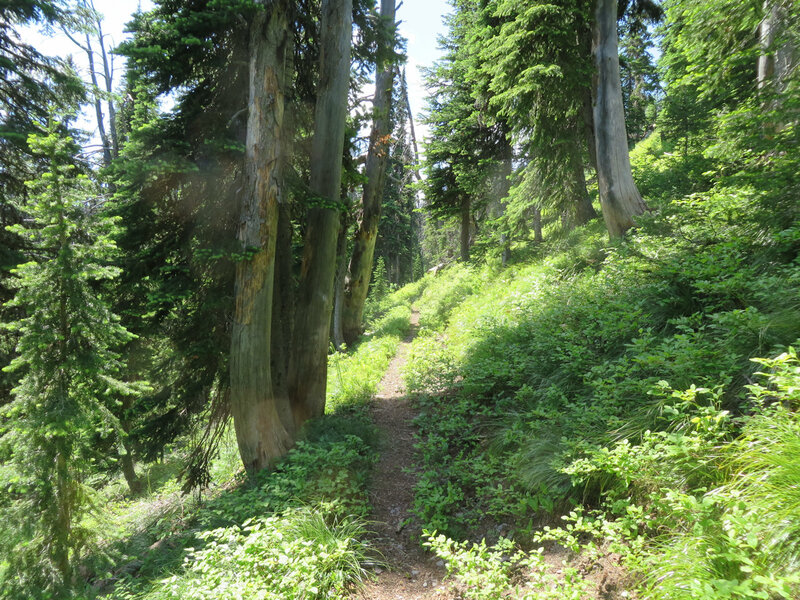 The agency proposed revising its formula for funding trail maintenance across the U.S. with an added emphasis on higher population centers. In Region One, there are 28,000 miles of federally managed trails. The agency on Friday said it would reconsider the formula change and withdrew the proposal. Senators Jon Tester and Steve Daines are not happy about the state of Forest Service funding for fighting wildfires and maintaining trails . 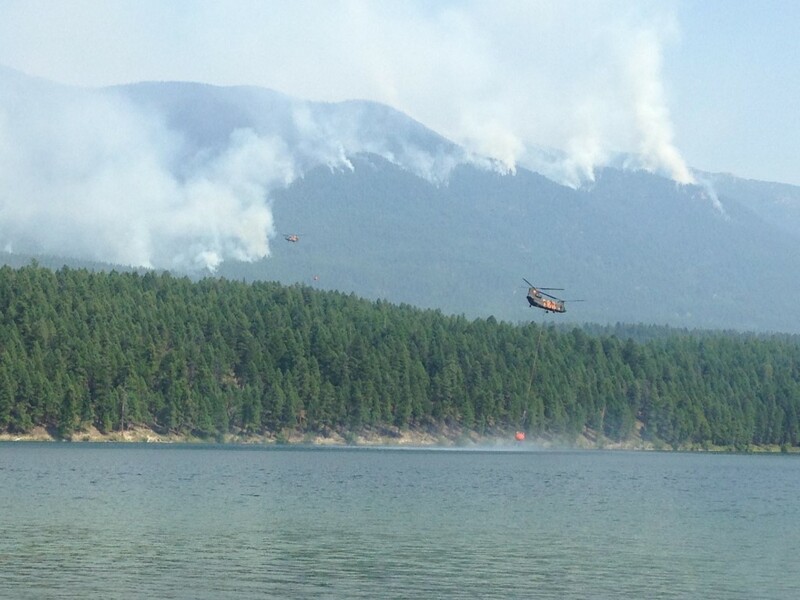 . .
As the U.S. Forest Service prepares for the looming wildfire season, Montana’s senators are calling for reforms to the agency’s forest and trail management. U.S. Sens. Jon Tester and Steve Daines questioned Forest Service Chief Tom Tidwell last week during a Senate Interior Appropriations Subcommittee hearing focused on the agency’s $4.8 billion budget request for the next fiscal year. Tester and Daines criticized Tidwell for failing to prioritize trail maintenance in Montana. The agency has revised its formula for funding trail maintenance across the U.S. with an added emphasis on higher population centers. In Region One, which encompasses all of Montana and has 28,000 miles of federally managed trails, the agency plans to reduce appropriations by 30 percent over the next three years. There is an estimated $25 million in deferred trail maintenance in Region One, according to a Forest Service report. From our friends at the National Parks Conservation Association . . .
We’re planning a summer celebration of Glacier National Park’s North Fork, right on the riverbank the morning of Aug. 24. Sens. 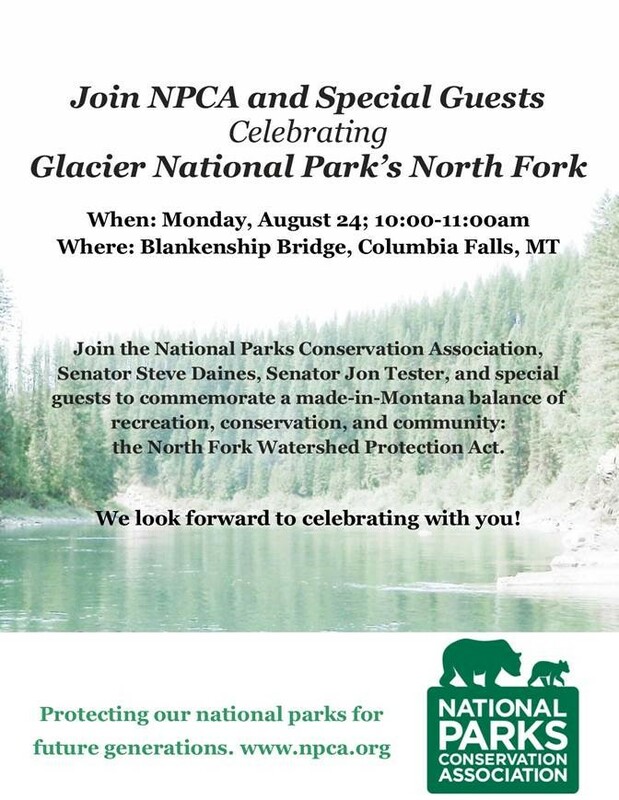 Jon Tester and Steve Daines together will welcome Canada’s Consulate General Marcy Grossman to commemorate a truly historic transboundary and bipartisan alliance, forever protecting the communities and culture of Waterton-Glacier International Peace Park. Places such as Waterton-Glacier and the North Fork Flathead River Valley do not happen by accident. They are choices that we make together – choices such as the recent Canadian and US legislation that protects our North Fork heritage. Please join us to celebrate the priceless gift of many more summers on the river! We’ll bring the coffee.